Denver, CO – February 13, 2018 – Patients searching for health care prices now have access to more procedures than ever before through an online shopping tool based on information in the Colorado All Payer Claims Database (CO APCD). The “Shop for Care” tool helps consumers across the state locate facilities with the lowest price and best patient experience ratings, and supports reducing health care spending. 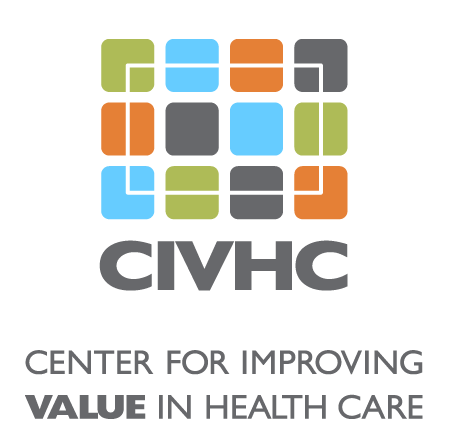 The information, developed by the Center for Improving Value in Health Care (CIVHC), includes prices for new x-ray imaging services and updates to currently available services like CT scans and MRIs. It also provides new “episode” prices for hospital and outpatient procedures including knee and hip replacement, births, cataract surgery and colonoscopies. Episode prices provide an estimate of the total costs associated with all care before, during and after a procedure. Providing one price for the full episode of care helps patients understand how much they, and their insurance company, can expect to pay in total between bills they may receive from hospitals, doctors, rehabilitation facilities, lab centers, pharmacies and more. The website shows that price and quality varies significantly across Colorado, and paying more does not always mean higher patient experience. Patients shopping for episode-based care in Colorado can save significantly by shopping around – from $3,520 for cataract surgery up to $35,220 for a knee replacement. Colorado is the second state after Maryland to use an APCD to provide full episode prices to consumers. Episode prices are only possible through a comprehensive health claims data set such as the CO APCD because payment information is submitted by all insurance companies and includes all types of care being paid for by a health plan. Regardless of whether a patient changed insurance or went across multiple health care systems for care, all payments made for services are captured in the database and attributed to the full episode. In addition to using this tool, consumers are encouraged to access other publicly available sources of quality information and to ask their health insurance company about their specific out of pocket costs. Additional statewide public CO APCD interactive reports on topics like total cost of care, reference-based pricing, quality, utilization and condition prevalence are also available publicly on the CIVHC website.